As the most insane election in history prepares to come to an end in just a few days, experts are discussing the potential changes many states will see after voting on whether or not to legalize cannabis. Nine states in total will vote on cannabis issues, the largest amount ever. Four will decide the recreational fate of cannabis in their state, while five will push for medical cannabis legalization. According to recent polls, each state is expected to pass its respective issue with overwhelming support. These new laws will mean some big changes, and big revenue increases, for the states’ economy. 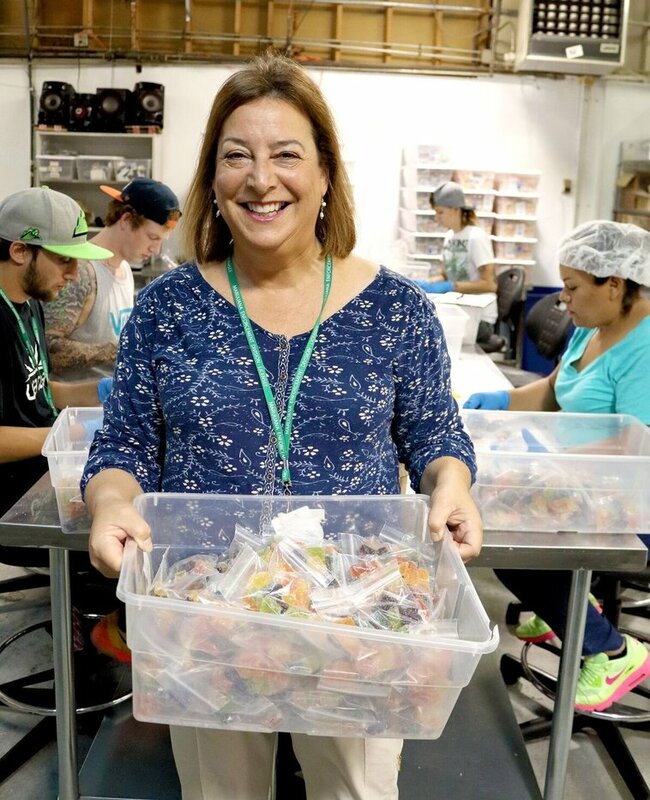 Nancy Whiteman is the Co-Owner of Wana Brands and Chair of Cannabis Business Alliance Infused Product Committee. Living in Colorado, she has witnessed, first-hand, states that have successfully ushered in legal cannabis markets and benefited tremendously from the outcome. In preparing for the new election, she believes the states that choose to make cannabis legal stand to receive the same type of benefits. I think there is a huge pent-up demand for legal, safe cannabis products for both medicinal use and recreational use. I include medicinal use because I think that we have seen here in Colorado that many people want to use cannabis medicinally but don’t want to get a medical card. So, the availability of recreational use dispensaries allows them to use the product as medicine even if they are sold in a rec store. Exact revenue will be a function of how the state has set up the program, overall population and out of state tourism numbers, which has been a big driver of growth in Colorado. Whether the votes affects the recreational or medicinal sector of the market, customers will be lining up to purchase legal cannabis once the vote has been tallied and the new regulations put in place. With a huge customer base already in place, each state will face their own unique challenges when it comes to a newly legalized sector of the economy. Enforcing regulations, ensuring safe products and integrating existing markets are all areas where states could find potential issues. The first hurdle is putting sound regulations in place for the recreational use market, including how to integrate the existing medical structure with the recreational structure. I would hope that states look to states like Colorado, where the regulatory structure has been in place for a few years, as a starting point. With California, Nevada, Maine and Massachusetts voting strictly on recreational legalization, these states will face particular challenges like ensuring packaging is childproof, with clearly labeled products. Seed and sale tracking will be another important area officials will have to market, to ensure proper distribution that isn’t breaking any laws. Whiteman believes municipalities must also work together and form a cohesive plan on what limits consumers will face. I think integrating the preferences of the municipalities is an important challenge. Here in Colorado, we have many variations in what is allowed by city or county and that creates many challenges for the industry and also for consumers who may not end up with easy access to product. When the intended vote is to give easy access to anyone wanting it, these restrictions make it difficult for patrons to follow along and keep up with varying rules and regulations. These differing laws cause unease within the recreational cannabis community and prohibit consumers from fully enjoying the newly founded market. Whiteman says it is up to the cannabis industry to relieve these feelings, who must self-police and act in a professional manner like any other organization would. This will go a long way to ease people’s concerns about recreational cannabis. If other states are like Colorado, they will probably also see a lot of positive metrics over time that will alleviate concerns. We have seen a drop in drunk driving fatalities, lower teen usage, and lower deaths from opiates, for example. Businesses need to take the attitude that we are in it for the long haul and behave accordingly. With the election just days away, the impending cannabis votes could cause a huge shift in national cannabis market, and finally force federal changes to take place. For now, any newly founded markets will reap the benefits that could be put to use to help our economy on a much larger scale.